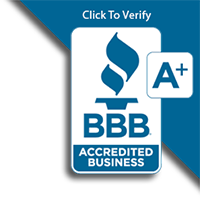 David J. Deschaine has been installing exterior products and vinyl replacement windows in Maine for over 25 years, and we are a company you can trust for quality workmanship and best prices possible. 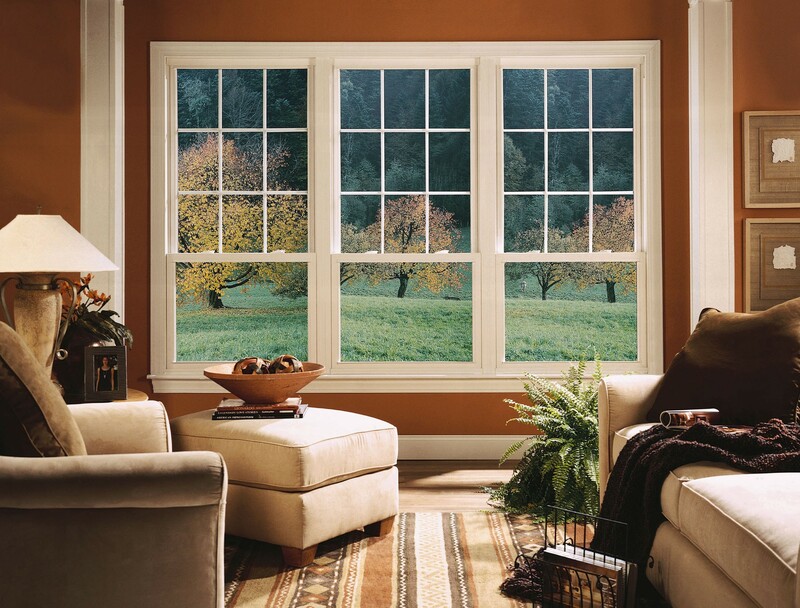 Our premium vinyl windows can be installed in just one or two days, and you will have a lifetime of energy savings. We only provide the highest quality replacement windows and door that will make your home more comfortable, and look beautiful for years to come - Plus these new windows make your home quieter from the outside. You can also schedule your appointment today by filling out our Free No-Obligation Estimate form, and one of our friendly office staff will contact you ASAP! Our Maine Maine energy saver windows can offer you a substantial savings on you heating cooling cost, your window space typically is about 30% of all you wall space in your home and sometimes more and want a front properties. Our vinyl replacement windows can reduce your energy costs from 30% to 40% for as long as you own your home. Because of the cost of oil people are now using other forms to heat their homes, like wood pellets, natural gas, but really what they should do is make a home more energy-efficient. By installing our David Deschaine energy saver windows your home will be more comfortable because the thermal barrier between the outside in the inside with your new double insulated glass. Our David Deschaine energy saver windows are made locally here in Portland Maine, and we work directly with our local window distributors so you will have the fastest turnaround for new replacement windows possible. We have been installing replacement windows, insulated vinyl siding, residential roofing, and seamless gutters for over 25 years. We can add new construction windows to your home which can save dramatically on your heating and cooling cost because we insulate all around your windows, and our vinyl replacement windows are made from virgin vinyl which does not conduct energy like other construction materials. We only install the very best window products available, and our reputation is very important to us, and your satisfaction is how we get more customers. During the installation of your new energy-efficient windows we will let you know exactly what's going on at all time. Once we make the order with our window manufacturer we will contact you and let you know the expected date of delivery, at that time we will tentatively schedule your roof window installation. Once we receive confirmation that your new replacement windows have been manufactured, will contact you to set up the installation date and time. Immediately you'll recognize the quality of your new windows, and you will not notice the noise from outside of your home, especially if you live in a busy street. You will not feel the cold drafts associated with older single pane glass windows, and the most important part will be when you go to fill your oil tank or pay your heating bill you will notice that you're not using as much energy to heat your home. The construction of our energy-efficient windows makes the difference because they are fusion welded at the manufacturer. During the construction of your Maine made replacement windows from our manufacturer paradigm, they use a very expensive master frame welder that joins all four corners of the windows frame in makes it one solid unit. This will lockout any cold air from getting into the home, and the window frame itself has multiple air chambers to lockout in build a thermal bridge from the inside and the outside of the home. The glass used in the construction of the energy-efficient windows is double strength glass, the glass is cut on big machines to the exact measurements of your window opening, which allows us to custom fit each one of your replacement windows which also gives you more energy efficiency instead of using a stock window from a big box store. All of the windows that we install are custom-made for your home, all come with a lifetime warranty for as long as you own your windows, and all of your window information is stored at the manufacture under your name, and the address of your home. When you're ready to have these energy-efficient windows installed in your home all you have to do is schedule an appointment with our office staff, and we will visit your home show you the options of the windows that can save you the most amount of money. Then we will take the measurements that day, send the information to our window manufacturer so they can begin producing your new windows. Once the Windows have completed manufacturing we will pick up your new replacing windows and get them installed as soon as possible. The best part about installing energy-efficient windows is that you start saving money as soon as the Windows are installed, you immediately build equity in your home because of the quality investment that you have made. Then you also can enjoy being more comfortable because you won't be cold around your window openings. Our Maine made vinyl replacement windows have the best components in the industry, we also use on the window manufacturers like Anderson, Alside, Paradigm which have the best rating in the industry. You can feel confident when we install new your vinyl replacement windows you never have to worry about the warranty because everything is covered, and that's that's what you want. 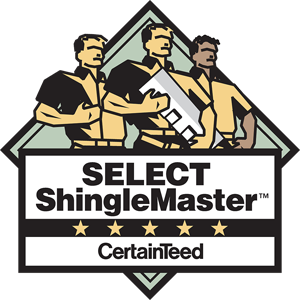 You will have the best warranty in replacement window business, and that's why we have so many satisfied customers. Use our vinyl replacement window software Alside Design Showcase to design the window that is just right for you. The manufacture of our vinyl replacement Windows is here in Maine in the company's Paradigm in the use the best thermal insulated glass with the low E and argon gas, and the windows are welded so the frame is solid. The glass is cut and cleaned and then installed in the welded frame, and the frame is pressed together in the vinyl replacement window manufacturing plant right here in Portland Maine. ‍The spacer between the glass keeps the argon gas between the panes of glass, and you have the coating on the inside called low E.
High quality welded frame that will stand the test of time because of the structural strength of these heat welded frames. The best part of this custom spacers which is between the glass allows contraction and expansion, see don't lose the argon gas between the glass panes. ‍If you ever have a problem with your new replacement windows we take care of everything fast because, we deal directly with the manufacturer located in Portland, ME. If someone breaks one of your windows we can order replacement unit fast, and put a rush order on your new replacement window and get you quick. 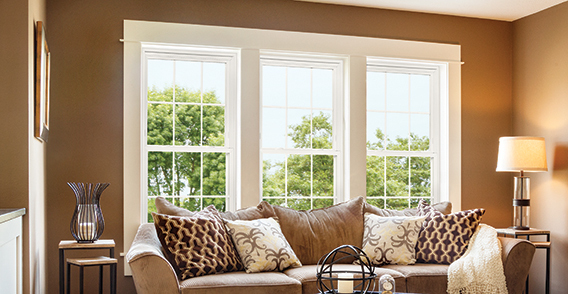 Paradigm has one of the best made replacement windows on the market today, and they make the replacement windows right here in Maine. When you working with David Deschaine you are working with over 25 years of high quality replacement window installations, and thousands of happy satisfied homeowners who has had us to work on their homes. We have built a very strong relationship with our window manufacturers so if anything happens to your new windows you will have the strongest replacement window warranty in the business. Our installation crews have decades of experience installing replacement windows, and once you have decided which windows you want installed in your home, the next step is to take accurate measurements of your window openings so we can order your replacement windows. 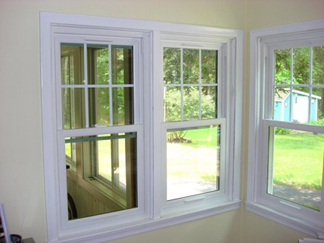 Once we place the order for your windows, and they are usually made within two weeks. Then once we get confirmation from our window manufacturer we will schedule the exact installation date. Typically your window installation will only take one day and sometimes may take two days depending upon the size of the job, and we will need access to your driveway for a trucks to deliver your brand-new windows. If you would remove anything directly in front of the window areas so we can move in and out of the area quickly, and if we have to move any items we can take care of those for you. If you have curtains hanging over the windows, you will need to remove those temporarily, and we can assist you putting those backup once we install your brand-new replacement windows. We look forward to working with you installing your new replacement Windows, Go ahead and fill out the free estimate form here on the website, or you can call us to schedule your appointment to can meet with one of our replacement windows specialists. David Deschaine Energy-Saver Windows allow homeowners the option of selecting Low E Glass and Argon Gas that can block up to 84 percent of the UV rays and prevent damaging rays from entering the home, so you can be confident that you and your family are protected. 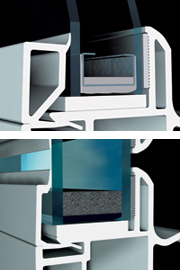 "In Summer Months, Low E-Glass helps keep cool air inside the home and hot air out. It works just the opposite in winter months by keeping heated air inside and cool air outdoors." Smart homeowners are especially interested in having the most Thermally Efficient Windows Possible. We have windows available for new construction and replacement--Use our Energy Saving Calculator to find out just how much money we will save you!! Contact us now for a Free, In-Home consultation on new, cost-saving windows.